The stories in this collection are funny, often poignant, and not easily forgotten. 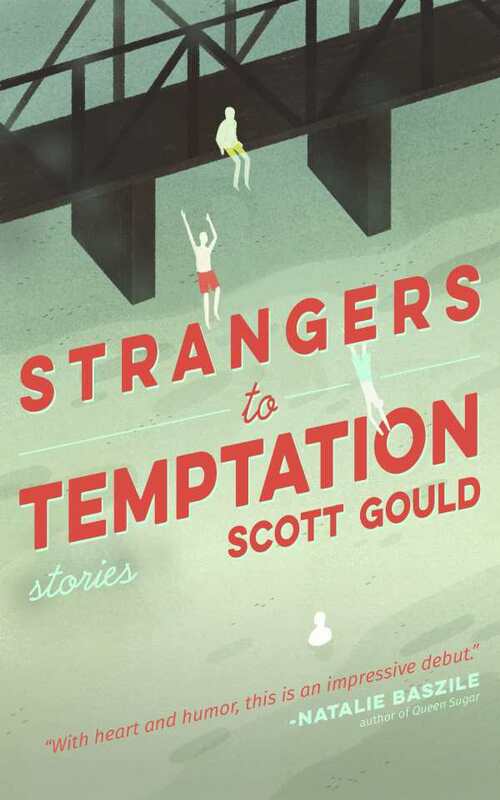 The thirteen coming-of-age stories in Scott Gould’s terrific collection, Strangers to Temptation, share a common narrator remembering his teenage years in South Carolina’s Lowcountry. He’s a smart kid, but there’s a lot he doesn’t understand. Where does his father go when he leaves home for a few days? How can he get a girl to like him? The events described belong to the boy, but the wisdom is the man’s. Family secrets and sexual awakening, and poverty and racism are threaded through the book. “Bases” illustrates an emotional truth behind segregation where hostility masks desire. The tall, black boy who throws a stone at a Little League player in the beginning of the story—a league closed to the black boys who live across the tracks—sneaks onto the field one night and plays all the positions. After hitting an imaginary home run, he rounds the bases and waves to the crowd. The book’s title comes from the story “Mathewmarklukeandjohn.” The names of the gospels are screamed by the town’s mentally challenged boy as he arrives at Vacation Bible School where the teacher is discussing temptation. Perhaps it’s the searing heat of the hot summers, but the town’s residents feel beaten down, their wrongs smoothed over. It’s Miss Angie, the timid VBS teacher, who finds her voice and leaves town.